Dating back to the fifth century B.C., this site of the magnificent Parthenon honors Athena, the goddess of wisdom and war. The museum features a transparent floor, allowing visitors to view archaeological dig sites beneath the facility, and artwork and artifacts depicting everyday life for ancient Athenians. 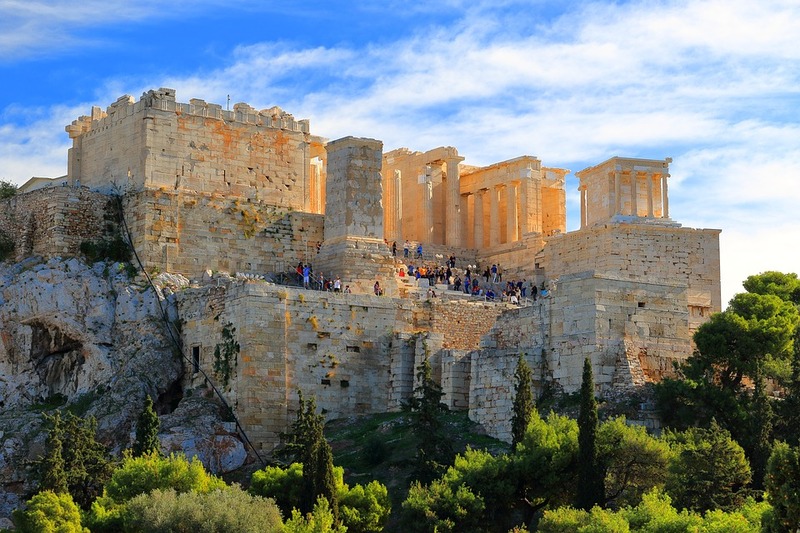 The Parthenon is also a UNESCO World Heritage Site. The Erechteion displays the statues of the female Caryatids, though the original statues have been replaced by copies due to air pollution. These originals can be found in the new museum or in London. On the southern slopes of the Acropolis lies the Odeon of Herodes Atticus, a Roman theatre with room for as many as 5, spectators. It is used during the annual Athens Festival for world-class ballet and musical performances. The Dionysus Theatre lies beside Herodes Atticus. Most of the Greek comedies and tragedies were written for this theatre.